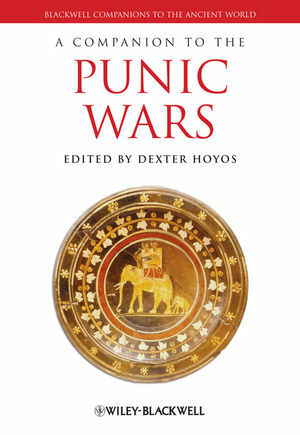 A Companion to the Punic Wars offers a comprehensive new survey of the three wars fought between Rome and Carthage between 264 and 146 BC. Dexter Hoyos is retired Associate Professor in Classics and Ancient History from the University of Sydney, Australia. He has published extensively on Latin teaching and aspects of Roman and Carthaginian history (including on Hannibal’s actual route over the Alps). His books include Unplanned Wars (1998), Hannibal’s Dynasty (2003), Truceless War (2007), and Hannibal: Rome’s Greatest Enemy (2008).